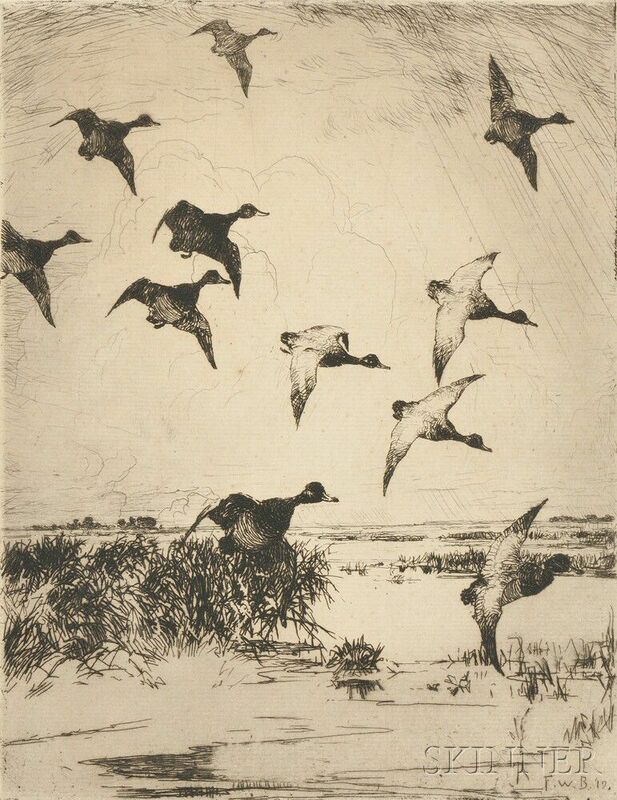 Flying Ducks, 1919, published state, edition of 235 (Paff, 160). Signed "FrankWBenson." in pencil l.l., initialed and dated within the plate, identified on a label from Schwartz Galleries, New York, affixed to the backing. 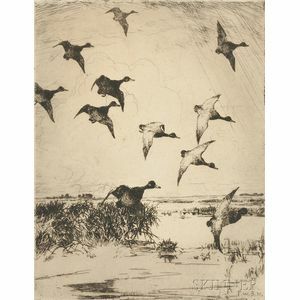 Etching on paper, plate size 8 7/8 x 6 7/8 in. (22.3 x 17.3 cm), framed.